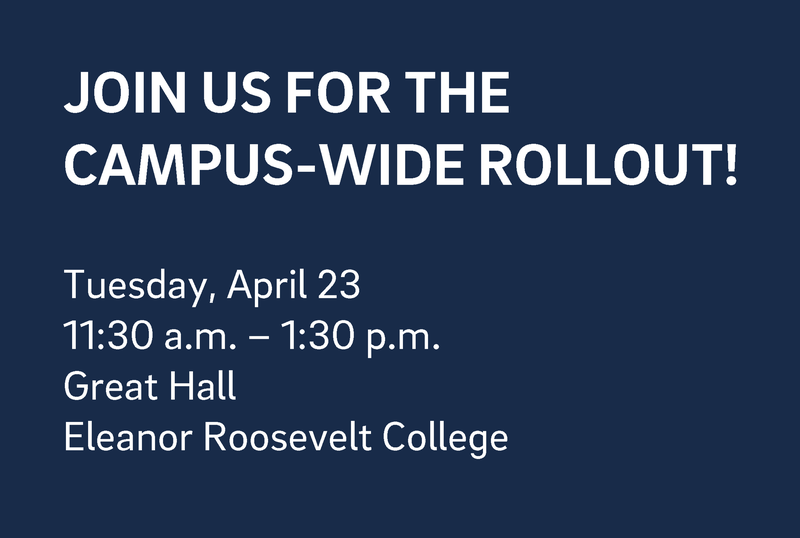 Please join Chancellor Khosla, Executive Vice Chancellor Simmons, and Vice Chancellor Petitt to hear more about our initiative to ensure California’s fastest growing student population feels welcome, supported, and able to thrive at UC San Diego. At UC San Diego, we believe education should be accessible to all ambitious and talented students. We are proud to launch the Latinx/Chicanx Academic Excellence Initiative, a campus-wide program designed to reflect and serve California’s fastest growing demographic. This means attracting and supporting a diverse faculty, staff and student community—making UC San Diego a place where generations rise. UC San Diego has launched a campuswide program to unify and expand services dedicated to attracting and supporting a diverse faculty, staff and student community. We are committed to actively transforming UC San Diego into a student-centered university for the success of current and future Latinx/Chicanx students, families and communities. We will do this through six core values that advance equity, build community, and ensure student success. UC San Diego is an Emerging Hispanic-Serving Institution (HSI), defined as a public university serving a population of at least 15 to 24 percent full-time Latinx/Chicanx students. At 20 percent, we are close to accomplishing our goal of becoming a qualified HSI—which requires at least 25 percent full-time Latinx/Chicanx students. To learn more, please visit our HSI page. We are actively preparing to serve our growing Latinx/Chicanx student population in a culturally responsive way. Our programs honor the uniqueness of our UC San Diego students: their culture, identity, family, history and life experiences as they ascend toward their dreams and achieve success for themselves and their families. Through the Chancellor’s Associates Scholars Program—55 percent of whose recipients identify as Latinx/Chicanx—we increase access to higher education for local students. Spaces like the Raza Resource Centro invite students to engage in high impact learning and open dialogue, and develop as leaders within a vibrant community. In addition, academic success resources like the Teaching + Learning Commons, the Office of Academic Support and Instructional Services (OASIS), and the IDEA Student Center offer a full suite of tools and services to help ensure their success. Furthermore, the Office of Student Retention and Success leads numerous programs that foster student achievement and degree completion. 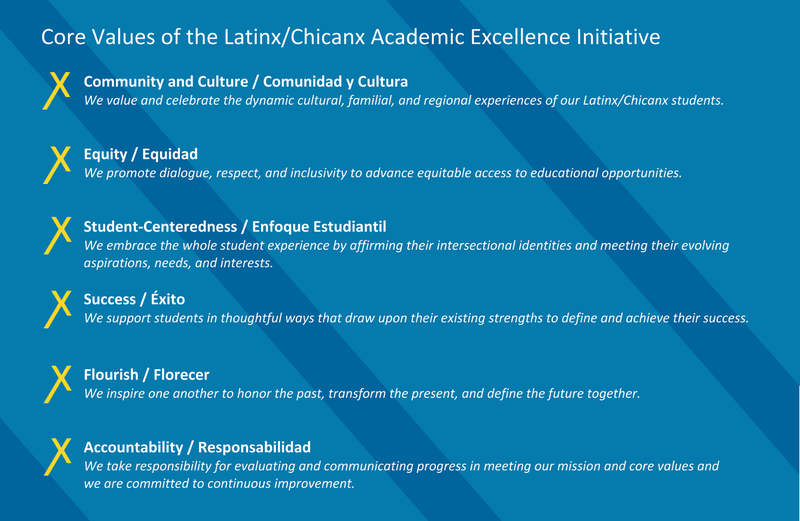 Below you will find a sampling of student success programs that align with the values of the Latinx/Chicanx Academic Success Initiative. A more complete list of the university's student success programs can be found on our Programs page. AEP offers UC San Diego undergraduates the opportunity to obtain valuable research-oriented academic and professional preparation in virtually any academic major. AEP initiatives are designed to encourage students—particularly underrepresented, first-generation and low-income—to pursue post baccalaureate degrees by offering opportunities to conduct faculty-mentored research and present research at research at conferences. In addition to facilitating faculty/student contact by means of the research mentor/mentee relationship, AEP provides other avenues for faculty and student interaction, such as having faculty members moderate roundtables at research conferences, or appear at informal gatherings such as Coffee and Conversation with Faculty. AEP provides both academic year and summer research, training, and scholarship opportunities, maximizing student opportunities to participate in research-related and personal and professional development activities. Many of the programs provide scholarship or stipend support. Summer Programs also provide on-campus housing or a housing subsidy that partially offsets the costs of housing. Bridges is a joint effort of UCSD and Border Angels to support the educational development of children whose parents have been deported or voluntarily returned to Mexico, focusing on high-school students applying to UCSD and higher education institutions. Through the Chancellor’s Associates Scholars Program (CASP), the university provides eligible UC San Diego students $10,000 per year for four years. When combined with the University of California’s Blue + Gold Opportunity Plan—which covers fees for California residents whose families earn less than $80,000 per year and qualify for financial aid—the scholarships effectively provide a full-ride to UC San Diego. UC San Diego is committed to our local community and the promotion of diversity, equity, and inclusion. These scholarships strengthen our efforts to enroll highly qualified local students who will become our future leaders and innovators. To find out more about eligibility for the CASP program, or to apply, visit the program’s website. The Chicana/o Latina/o Arts and Humanities (CLAH) program at UC San Diego is an interdisciplinary field of study in the arts, humanities, and social sciences. CLAH brings students, staff, faculty, and community together in the scholarly examination of Chicana/o and Latina/o life, history, and culture. We offer an interdisciplinary minor which provides a broad introduction to Spanish-speaking communities in the United States and sponsor related events about art and politics. As Chicanas/os and Latinas/os continue to fuel seismic demographic shifts in the United States, CLAH explores their history, how they shape the present, and the ways they will transform the future. Learn more at the CLAH website. Comienza con un Sueño, “It Begins with a Dream,” is a college outreach event held every year by UC San Diego in an effort to encourage first-generation and low-income students from Spanish-speaking families to pursue a higher education. The event is organized by UC San Diego’s Early Academic Outreach Program (EAOP) and TRiO Outreach Programs, which provide local K-12 students with college preparatory programs. The goal is to excite students about their future by increasing awareness of college eligibility requirements and offering a glimpse of the possibilities for educational and career success. The goal is to convey to Latinx/Chixanx students that you don’t have to give up your language, identity and culture to succeed at an institution of higher education like UC San Diego. CREATE was established in 1997 as UC San Diego’s entity to support local K-12 outreach and college preparation efforts, specifically for students too often underrepresented in college. CREATE now focuses on supporting K12 schools and systems, while also supporting community college and UC San Diego colleagues to design outreach and education programming to meet key local education needs. The goal is to leverage our university's resources to support the college and career preparation of students throughout the region, often by supporting their teachers. CREATE works to support the full human talent development of every student in the San Diego region, particularly from communities that might not otherwise access higher education opportunities. Twenty years since its founding, CREATE's education networks are broad and deep. Within CREATE are teacher professional development (PD) and student academic preparation organizations connected to thousands of the region's teachers and students. UC San Diego faculty, staff and students regularly request CREATE support in outreach design and evaluation, and help linking to schools, districts, and local education innovators. Within CREATE's walls, you’ll find an innovative team of researchers studying and designing youth and teacher development; longstanding programs supporting San Diego students toward colleges and career; and professional development experts designing new ways of working with the state and region’s teachers. The Early Academic Outreach Program (EAOP) at UCSD is one of nine programs administered system-wide by the UC Office of the President to increase the number of low-income and first-generation college going students on UC campuses. EAOP programs represent the largest student-centered initiative in the state. Begun in 1976, UCSD’s program currently serves more than 3,000 students at 16 schools in San Diego and Imperial Counties. Of the approximately 500 high school seniors served each year by UCSD's EAOP, more than half become eligible to attend UCSD and other UC institutions, and more than 80% of these 500 seniors will go on to attend college at a UC campus or elsewhere. The program is an opportunity to explore a variety of interests through work on varied projects ranging from the use of advanced characterization tools for the development of new materials, computational biophysics to explore dynamic molecular recognition events, and synthesis of new compounds for energy technologies. It is a dynamic summer internship program that is dedicated to nurturing the vast potential each student possesses and challenging them to always consider science in the context of societal needs. Learn more by visiting the ENLACE Summer Research Program website. The HCOE Faculty Development Program is designed to improve the recruitment, retention, and success of URM faculty in academic medicine at UC San Diego. The program aims to enhance the academic skills of faculty and will provide funding for career development, research, innovative clinical care and curriculum development, and will create a community of diverse faculty at UC San Diego Health Sciences. Find out more about HCOE and the faculty and scholars involved on its website. To find out more or to apply, visit the Housing Communities website. The Office of Academic Support and Instructional Services (OASIS) is one of the largest learning communities at UC San Diego, empowering students personally, academically, and professionally. Our students and staff are innovative, productive, and engaged global citizens committed to social responsibility and the promotion of a diverse community of people, ideas, and perspectives. We accomplish this through academic success initiatives, leadership development, and bridging partnerships that move our students to change the world. The mission of OASIS is to facilitate the intellectual and personal development of UC San Diego students, with a particular focus on students who have overcome significant obstacles (e.g. students who are first in their families to attend college, students from under-resourced communities, underrepresented students, English language learners, etc.). Through a challenging and supportive environment that emphasizes collaboration, validation, equity, and social justice, OASIS contributes positively to student retention, achievement, learning, and empowerment. To read more about all of OASIS’s services and opportunities, visit its website. The PATHways to STEM (PATHS) through Enhanced Access and Mentorship Program proposes an innovative pilot program to mitigate historical barriers and establish an infrastructure of resources, communications, and professional development within UC San Diego and in the surrounding community. PATHS is designed as a 4+ year-round undergraduate program to provide enhanced access to targeted academic preparation, multi-tiered mentorship, personalized student support, improved STEM identity, early career identification, and internship and service placement. This program aims to empower students from underserved communities and backgrounds to emerge as leaders who not only survive but thrive during their undergraduate experience in STEM at UC San Diego. To find out more about the program, visit its website. Campus Community Centers at UC San Diego build community among a diverse population of students, faculty and staff members. Open to all, the centers contribute significantly toward the evolution of a socially just campus. They are places of belonging, where traditional notions of diversity are challenged. It is where self- awareness is learned, leaders are developed and open dialogue and expression is encouraged. 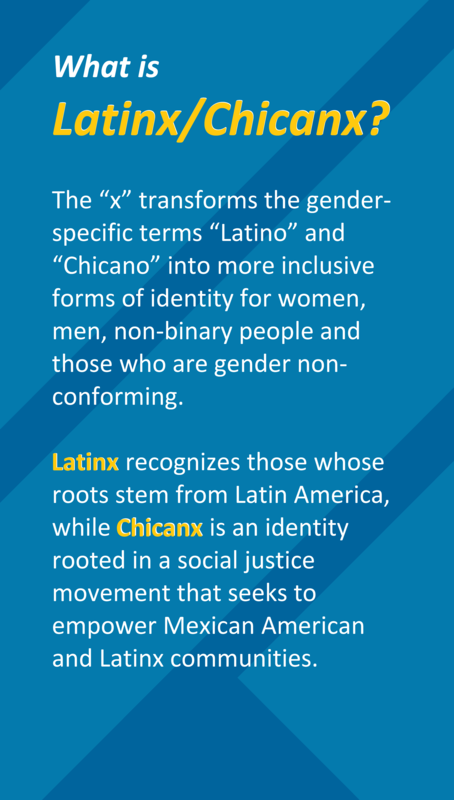 The Raza Resource Centro, which opened in 2014, is a space for all to converse and connect around intersectional Chicanx Latinx identities, Latinidad and cultura. Comunidad is cultivated through murals, a vibrant community space and interactive learning opportunities. Programs offer academic, leadership, identity, civic, volunteer and professional development to strengthen community and identity development, retention and student success. The Centro also hosts community-building projects focused on advocacy, co-curricular, and civic partnerships designed to enhance holistic student development. To find out more about the Raza Resource Centro, visit its website. The purpose of the UCSD Health Sciences Research Methodology Training Lab (RMTL) is to train students from disadvantaged backgrounds to conduct research in a biochemical science lab to prepare them to enter graduate programs in the health sciences addressing health disparities. During the summer, students participate in a structured program (6 weeks for high school and 8 weeks for undergraduate and community college students) where they develop an original research project, write a report and prepare a presentation to take to conferences. In addition to their projects all students are exposed to lectures on health disparities research. Undergraduate and community college students receive lectures on preparation for graduate school, while high school students participate in an SAT prep course. Students may continue their research during the academic year. The SIAPS (pronounced “shapes”) Overnight Program offers participants a variety of activities encompassing student life at UC San Diego and opportunities to connect with undergraduate students, alumni, and staff. Participants will be able to attend various workshops, campus tours, informational sessions, social events, and activities organized by the staff of SPACES, LGBT Resource Center and Raza Resource Centro. The SIAPS Overnight Program partners with the Black Resource Center, Black Student Union, Jacobs School of Engineering, LGBT Resource Center, and Raza Resource Centro to offer activities and workshops that are culturally relevant and academically based. Learn more about the SIAPS Overnight Program. The Student Success Coaching Program was developed through a partnership with the Office of the Vice Chancellor for Student Affairs and the six undergraduate colleges at UC San Diego. First-generation students are connected to a Success Coach from their undergraduate college who is familiar with the resources and opportunities that can help ensure their success. Together, student and coach focus on their strengths and passions to find high-impact practices that directly support their goals as a first-generation college student—such as research, mentorship, student involvement, faculty interaction, and more. First-year students in the program are assigned to a Success Team composed of a Success Coach and a Peer Coach. Success coaching is a partnership for success, and the teams work together to develop unique Student Success Plans, which support goal setting, reflection, action planning, support networks, and more. Second-year students continue to connect with the Success Coach from their undergraduate college and participate in a series of group coaching workshops designed to continue to propel them toward their goals. Participating students will meet with their coaches (peer and professional) several times during the academic year, attend a variety of academic and community-based programming, and participate in major- and career-focused activities—all individualized to the student's goals and passions. Find out more by visiting the Student Success Coaching Program website. The Summer Bridge Program, organized by UC San Diego’s Office of Academic Support and Instructional Services (OASIS), is a year-long academic transition and scholarship program. It begins with an intensive 4- or 5-week residential program for incoming freshmen from underserved high schools—many of whom will be the first in their families to graduate from college. The program is designed to ease the transition into college by helping students to acclimate to the academic, social and cultural life of UC San Diego. Through academic courses, workshops, mentoring and other activities, students gain a clear understanding of the demands of a major research university and the resources available to help them meet those demands. The program also helps students develop an understanding of the complex social issues in our diverse society. Learn more about the Summer Bridge Program. The Teaching + Learning Commons (the Commons) provides leadership and support for the university’s teaching and learning initiatives, and its commitment to academic success for all students. The Commons consists of six hubs: Engaged Teaching, Digital Learning, Academic Achievement, Writing + Critical Expression, Experiential Learning, and Education Research and Assessment. The Commons assists all members of the UC San Diego community in developing learning environments and experiences for their students that encourage engagement and foster student success. Student programs include one-on-one and small-group drop-in tutoring in STEM fields; learning strategies workshops and one-to-one consultations can help students learn better and get the most out of studying; peer-assisted group study sessions improve student success in traditionally difficult academic courses; writing support for all subjects; and more. Find out more about The Commons. TRIO Outreach Programs at UC San Diego offers five federally funded, pre-college programs: two Upward Bound and Upward Bound Math Science programs for San Diego Unified School District central high schools and Grossmont Union High School District high schools, and theTalent Search program. Our goal is to prepare students to successfully complete high school, transition to the college of their choice and succeed in graduating with a two-year, four-year or vocational/technical degree. TRIO Outreach Programs are targeted to low-income, first generation students who aspire to attend college immediately after high school graduation. Collectively, we serve more than 875 students in13 schools across San Diego County. We need your support to continue expanding services for our Latinx/Chicanx students. Help us grow our programs and scholarships to transform UC San Diego into a student-centered university for the success of current and future Latinx/Chicanx scholars. 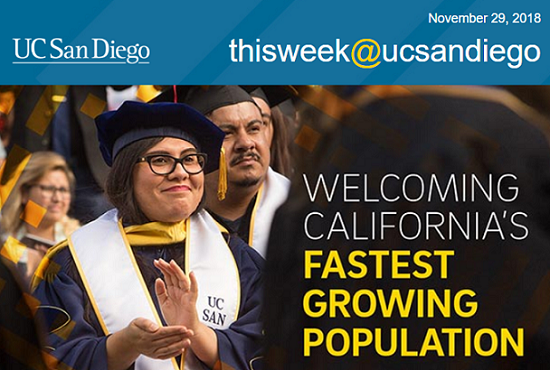 To learn more, contact UC San Diego Development Officer John Duca at (858) 534-8305 or jduca@ucsd.edu.